A book with great coffee photos of desserts and drinks. 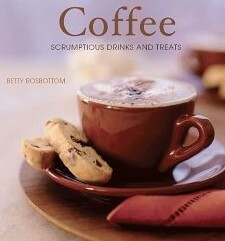 Portions of the book also describe how to brew coffee that works well in the different recipes. The recipes in the book are the less-complex and easy to do at home. Many are desserts altered to appeal to coffee lovers.